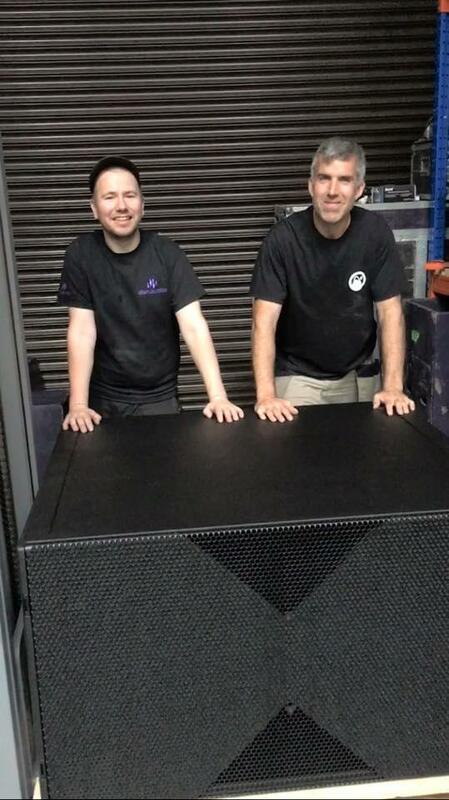 Following a hectic but exciting couple of months of merging, we're expanding our stock of speakers with 4 large J-INFRA Subwoofers. The J-INFRA is a cardioid infra subwoofer that can be used to supplement J-Series systems consisting of J8, J12 and J-SUB cabinets. It extends the frequency response of a J-Series system down to 27 Hz and can only be used in ground stacked configurations in conventional left/right set-ups, as well as arranged in an infra subwoofer array. It has two bass-reflex chambers containing three 21" drivers, two facing forward in one chamber that are driven from one channel of the d&b amplifier and one facing backwards driven by another amplifier channel.